Ironman Ivan Stewart's Super Off Road arrived at the Tranquility Base Arcade in working order but needed a cosmetic restoration due to the many years it spent in an arcade. 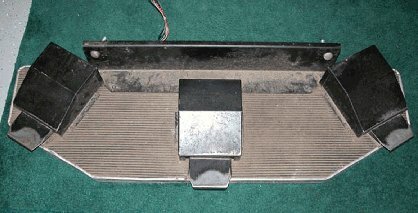 The pedal assembly was in very poor shape from the many games that were played on this machine. 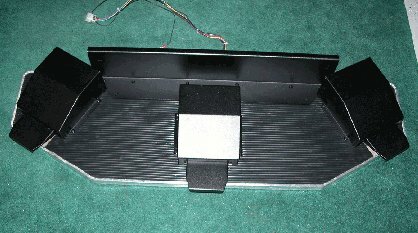 I disassembled the entire assembly and sand blasted the parts at a friend's shop. I then dropped them off at a local powder coater who applied a really nice looking textured black finish. The mat was thoroughly cleaned and then shined with Armor All. Next I stripped and painted all the miscellaneous brackets, cut a new clear plexi bezel out of 1/8" acrylic, replaced the T-Molding on the entire machine and touched up all the scratches/imperfections. Once everything was complete Super Off Road was put in the arcade and was an immediate hit with the local clientele!